While touring the most popular attraction in Charlotte, I was struck by some coincidental characteristics between myself and the personality for whom the museum was honoring. The video film introduced our main character as, “A southern farm boy from North Carolina who became a gospel preacher and worldwide evangelist.” You may have guessed that I was touring the Billy Graham Library and my “aha moment” was, “Hey, I too am a southern farm boy from North Carolina, and a preacher of the gospel.” It feels good to associate with the likes of Billy Graham (though I don’t have any notions of filling stadiums as he did). Over the course of the tour I saw more insights into Graham that intrigued me. He had a friendly relationship with every US President from Harry Truman forward. There were pictures of him playing tennis and golf with a few presidents. There were other shots with him at retreat sites or their personal properties, like Lyndon Johnson’s farm in Texas, or George Bush’s vacation home in Maine. Billy Graham was active, athletic and a rather “normal” guy who was good company to presidents and ordinary people alike. I aspire to be rather normal myself. During his long and storied life of 99 years, Graham displayed humility. He readily admitted that his wife Ruth was a better Bible student than he was. 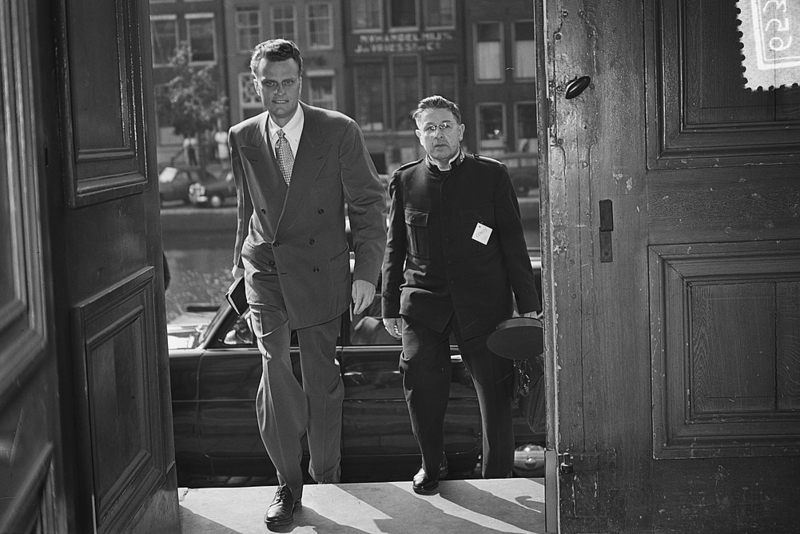 He touted Ruth as being his chief spiritual counselor throughout his ministry. Again, I felt a kinship with him knowing just how important Susan is to me. Another similarity is that Billy Graham’s greatest attribute was pointing others to Jesus. At his best, Graham was simply reflecting the Jesus in him. More than any aspiration to be like Billy Graham or any other spiritual leader, my greatest aspiration is to be like Jesus. I’m sure this is your aspiration as well. In several gospel accounts, Jesus was a regular party guest, and I bet he would have fit very well into the social scene of spending time with the presidents of our modern era. Both Matthew and Luke identify Jesus as a “friend of sinners,” and they add glutton and drunkard to their critical review. Ironically, the “friend of sinners” label was meant as a criticism and yet it is one of the highest compliments awarded Jesus. 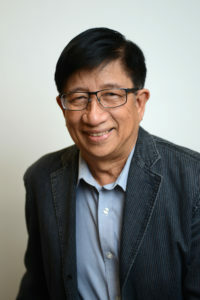 I hope the same label will be awarded to the leadership of GCI. It is a mystery how religious people want their leaders to be other-worldly instead of approachable and likable. The apostle Peter challenges believers to be like Jesus and to follow in his steps. In his first letter, he reminds us we have been called to be like Jesus in our patient endurance, especially in the light of unmerited suffering. What!?! How am I supposed to do that in a world that has programmed me to stand up for my rights and to fight back against any type of abusive treatment? It is only in the vicarious humanity of Christ that I find the strength to walk in his steps; it is Jesus who has saved me from sin and death, and only him living in me can empower me to endure the struggles of this life. Following in the steps of Jesus is different from the typical protégé coming along behind a senior mentor and trying to follow his or her pattern of life. Following Jesus is also more than reading about Jesus in the pages of the Bible and then, through our determination and human effort, striving somehow to be like him. Following in the steps of Jesus means actively walking with him, in communion, continually relying on him, and becoming more and more like him in this Christian journey known as sanctification. The bottom line is that Jesus is more than a historical example. He is the God-Man who is real, relational, and desires to make his home in every single human. Following Jesus means more than admiring him and hoping to be like him. It means participating with him and coming to the realization that we can do all things only through him (Phil 4:13; John 15:5). Don’t Miss Out! West USA Regional Celebration Closes February 25th. Click the image below to for more information and registration options. 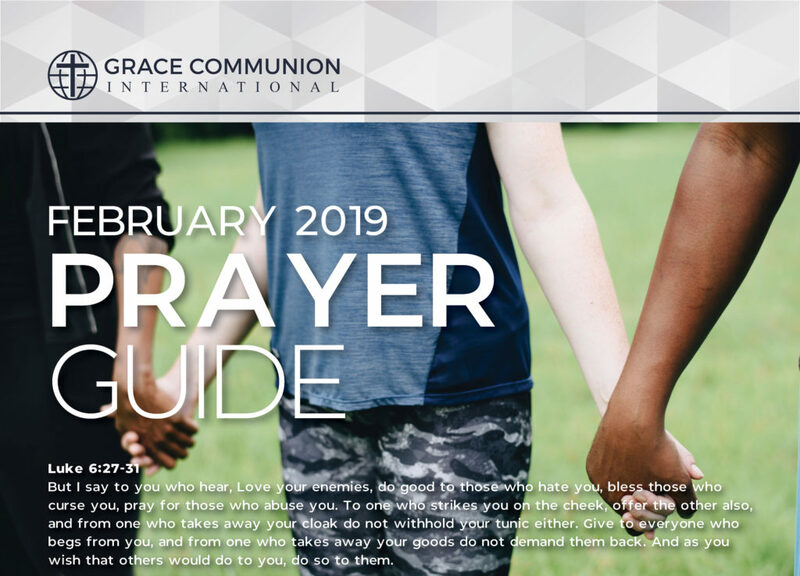 Click the image below for the 2019 February Prayer Guide. Show us the world through your lens. Do you attend a GCI church? 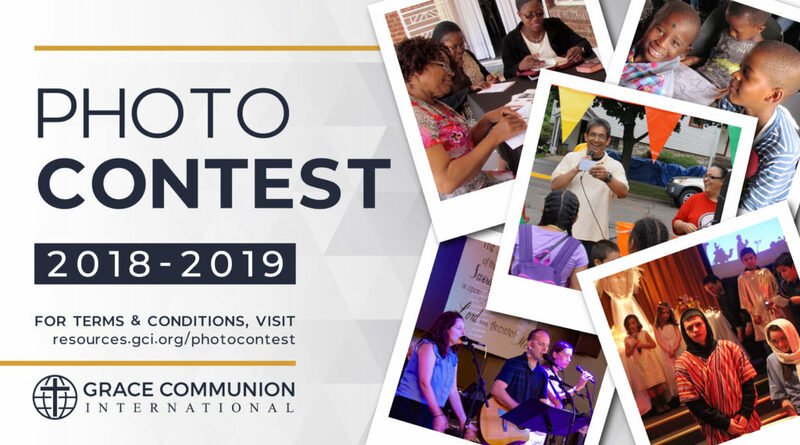 Enter to win our 2018-2019 GCI Photo Contest and submit photos of your healthy church. Prizes include, $100, $200, and $300 Amazon gift cards! The Women of Edgehill Community Church in Cleveland Heights, Ohio would like to invite you to their 16th Annual LiLY (Living Life for You) Conference “Joy Intact,” held April 26th-28th, 2019 at the Embassy Suites in Beachwood, Ohio. This is a weekend filled with wonderful worship, inspired speakers, lots of laughs and simply enjoying the presence of the Lord. The conference is attended by a diverse group of women and teens (Bonfire Sessions for ages 13-17) from every stage on their journey. We come from different churches and denominations. We are about meeting at the feet of Jesus and making him known. We keep the registration prices low ($70 Early bird special), meals are included and you can fill your suite with up to six women to cut the cost of the hotel. This is a great opportunity for you, your family or group of friends to come together and share a weekend in Christ with no judgment or expectations. Devotional – What’s in Your Backpack? 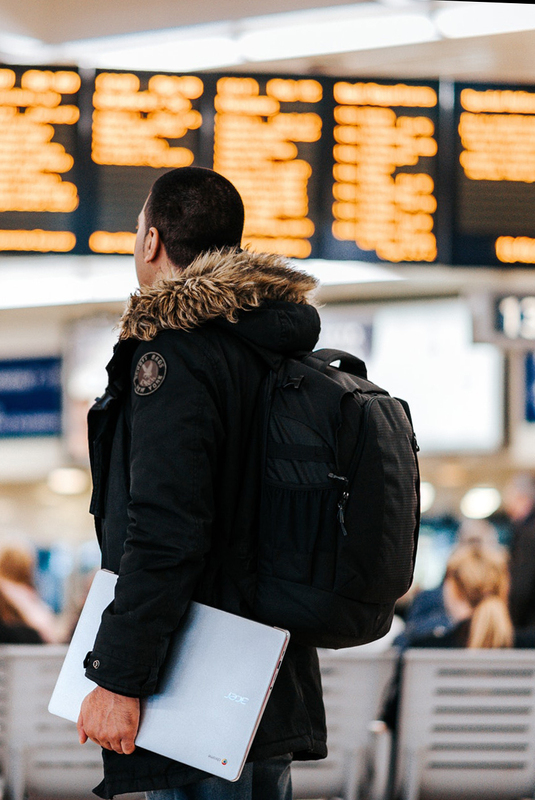 Most of us are not strangers to traveling, whether it be a daily commute or long-haul travel. Our trip to the U.S. Conference in October lasted 20 hours with several stopovers. Upon arrival in America, we were in a rush to get through the airport. As we hurriedly emptied our pockets and removed our bags for security, my backpack passed through the X-ray machine but something was detected so it was stopped and brought back. The staff motioned for me to bring it over for inspection and asked me, “What’s in your backpack?” As it turned out, it was an unsuspecting stapler that caused the delay. With life often compared to a journey, it would be good to regularly evaluate what we carry with us. What is in our “backpack” says something about our values, priorities, and aspirations. There may be things that should be there but aren’t. At times, we may be carrying things that are nice to have, but not really necessary. We may also be unsuspectingly taking along things that delay us by distracting us or weighing us down. We can be weighed down by physical baggage, in terms of too much dependence on people or material things. It can be emotional baggage – like resentment, discontent, envy, and insecurity. It could be spiritual baggage – like guilt, legalism, self-righteousness, or sinful habits we refuse to confront. Sometimes these are clearly evident to us. Sometimes though, further introspection is required to come to terms with what is in our “backpack”, and what we should or shouldn’t take along. At the crossroads of another year, let us rest and reflect on what we have been carrying with us. Allow God to search our heart and detect what does not belong there. What are the things we should not leave and live without? In this journey, let us make room for what matters – the joy of salvation, hope for the kingdom, boldness for the gospel, and passion for God and for the people he has called us to love. Happy travels! Prayer: Lord, in this life we all go through, you are with us all the way. Let nothing hold us back, or weigh us down, but rather, refresh us, and help us fix our eyes on you. In Jesus name, Amen. “We Are GCI Series” is a collection of videos where various GCI family members are highlighted. In this episode, GCI President, Dr. Greg Williams interviews newly appointed GCI Superintendent of North American, Michael Rasmussen. 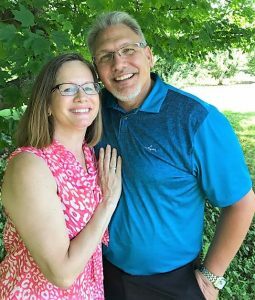 Mike shares a little about his story and how he plans on moving the vision of GCI “Healthy Church” forward in his area of supervision. Praise be to the Father, who by the power of his Spirit has blessed us with a gift of life to see the dawn of 2019! Time is a gift of grace. It allows us to start again, to try again, and to yearn for tomorrow. The start of each day, each week, each month or each year must always remind us of God’s grace. We can rejoice in the new opportunities that a new year presents, and the hope it engenders. Margaret and I saw the dawn of 2019 under the Namibian skies of the Caprivi strip. 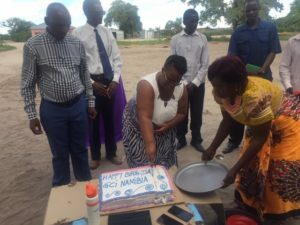 We joined Pastor Lascan Sikosi, the National Ministry Leader of Namibia, and the Namibian pastors for a three-day conference. 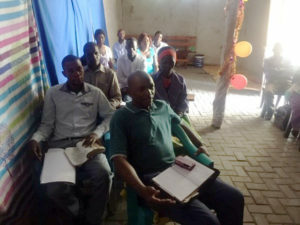 The first day, we had a church service with the local church members. It was followed by anniversary celebrations of GCI Namibia, complete with a birthday cake, which we all shared, followed by Communion. The rest of the conference consisted of pastoral and leadership training. Thank you for the prayers for safe travels. After almost two days of driving, I experienced a bout of motion sickness on arrival in Namibia, and had to see a doctor. Fortunately, the problem cleared quickly, and I was ready for the meetings the next day. We had great weather with rain, which started the day we arrived. 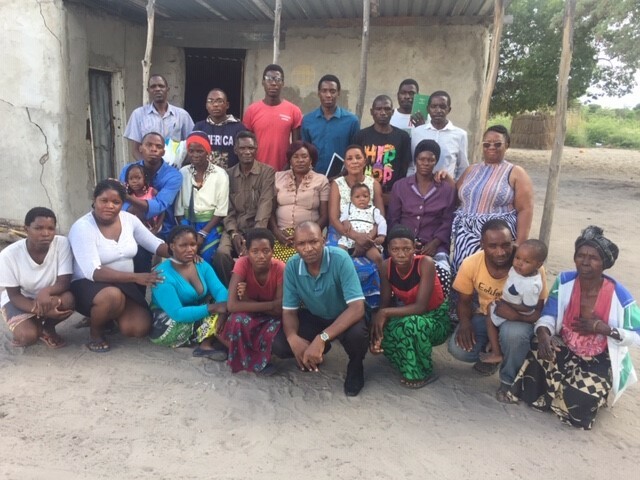 Please pray for the members in Namibia. Unemployment is a huge problem. Many rely on subsistence farming in the villages. Congratulations to those who have passed their exams last year. May your 2019 plans come together. I want to also congratulate Lorna Laister, our National Children’s Ministry Coordinator, who has completed her Bachelor of Theology degree with UNISA. In the future, all GCI pastors will be expected to have minimum academic qualifications. This is a huge achievement by Lorna. Congratulations from all of us!